Babette and Georgie are two fitties from Essex, yeah? Performing on Thursday, June 2nd 2016 at 8:00pm. 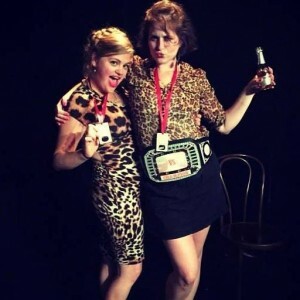 Winners of Season 1 of PHIT’s improv competition VS and headliners of the all-female comedy festival the Bechdel Test Fest, Proper Dodgy is Philly’s most fabulous duo. Babette and Georgie are two best mates from Essex who love a pint with chips and swearing almost as much as they love leopard print. .